Purdy was the longtime creative director of Young and Rubicam Advertising. He was also an etcher and the father of artists Lev and Noa Purdy. 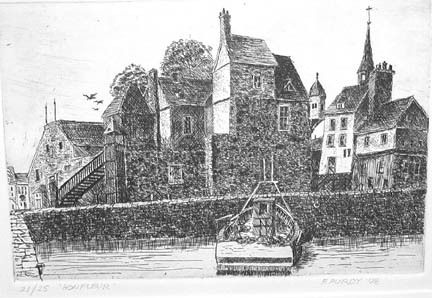 Purdy, Frazier, “Honfleur,” Westport Public Schools Digital Collections, accessed April 24, 2019, https://collections.westportps.org/items/show/1065.